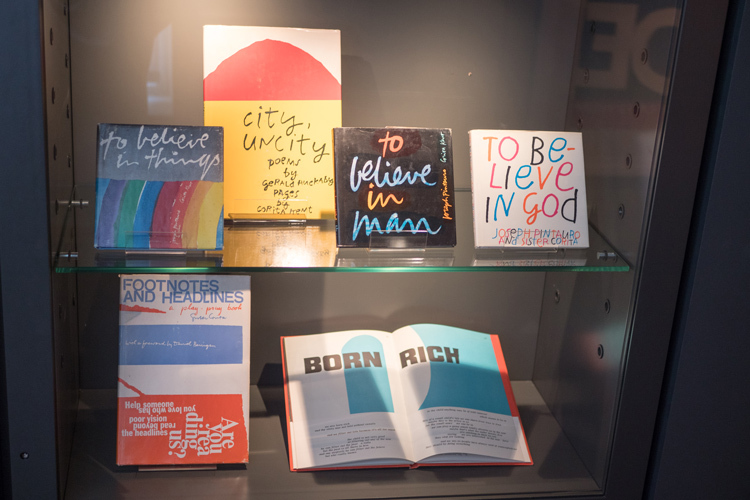 A new exhibition at the Ditchling Museum of Art and Craft celebrates the life and work of American nun-turned-artist Corita Kent, who challenged the Catholic church with bold graphics and controversial views. Update 16 May 2018: Photos of the exhibition space have now been released. Scroll to the bottom of the piece to see what the show looks like. Very few graphic designers are also practising nuns. Even fewer are controversial nuns, who have broken away from religious obedience to protest about war, civil rights and racism. 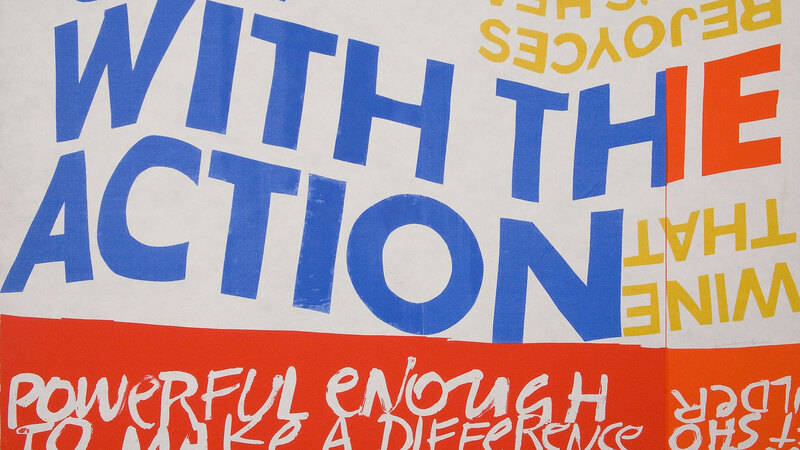 However, late American designer Corita Kent fits this profile, and a new exhibition – Corita Kent: Get With The Action – at the Ditchling Museum of Art and Craft paints a picture of the unique artist’s life, her internal religious and political conflicts and her acts of protest. Kent was born in 1918 into a religious, Roman Catholic family in Los Angeles, California. She entered nun-hood at the age of 18 when she joined a local women’s religious school called the Sisters of the Immaculate Heart College (IHC), where she stayed for over 30 years. Alongside being a convent, it was also a private school and college teaching all subjects. Kent trained as an artist there, completing an undergraduate degree in art and a masters in art history. In her twenties and thirties, she spent most of her time teaching art at the college – and despite her traditional training, Kent was forward-thinking in her approach. 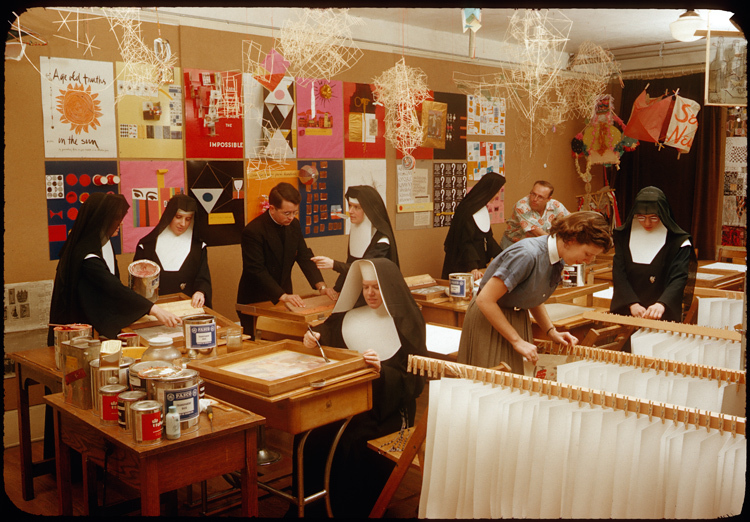 She set up a silk-screen printing workshop, teaching her students to print bright, graphics-based religious art and propaganda that took on a pop art style inspired by Andy Warhol. 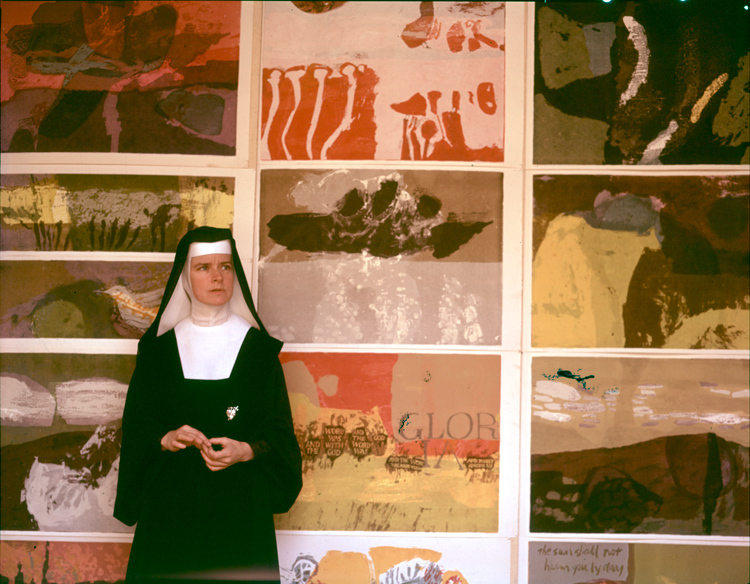 In her forties – the 1950s and ‘60s – Kent began devoting less time to teaching and more time to focusing on her own art, incorporating bold, brash colours, controversial messages about politics and Catholicism, and contemporary, radical techniques like cut and paste – all of which earnt her the nickname, the “pop art nun”. Kent was producing art at the same time as the likes of Warhol, yet her work has garnered nowhere near the same fame, praise or respect as her contemporary. Steele says that Kent’s work is particularly relevant to Ditchling given the Hassocks-based museum’s religious history. In 1921, a Roman Catholic artists’ guild was created in Ditchling, with founding members including lettering artist and sculptor Eric Gill and Edward Johnston, the designer behind the London Underground typography. The Guild of St Joseph and St Dominic’s aim was to “reinstate craft that had been lost through industrialisation”, says Steele, and the guild would have been known in America and seen as “impressive” by the American Roman Catholic community, she adds. Kent’s work is also pertinent this year as 2018 marks what would be Kent’s 100th birthday, alongside the centenary of women’s suffrage and right to vote. Alongside this, Kent’s political artworks seem fitting for the era of protest we find ourselves in today. 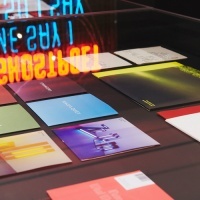 The Design Museum’s latest exhibition, for example, showcases the breadth of political and activist art that has arisen over the last 10 years, on everything from the refugee crisis to women’s rights and US president Donald Trump’s election. 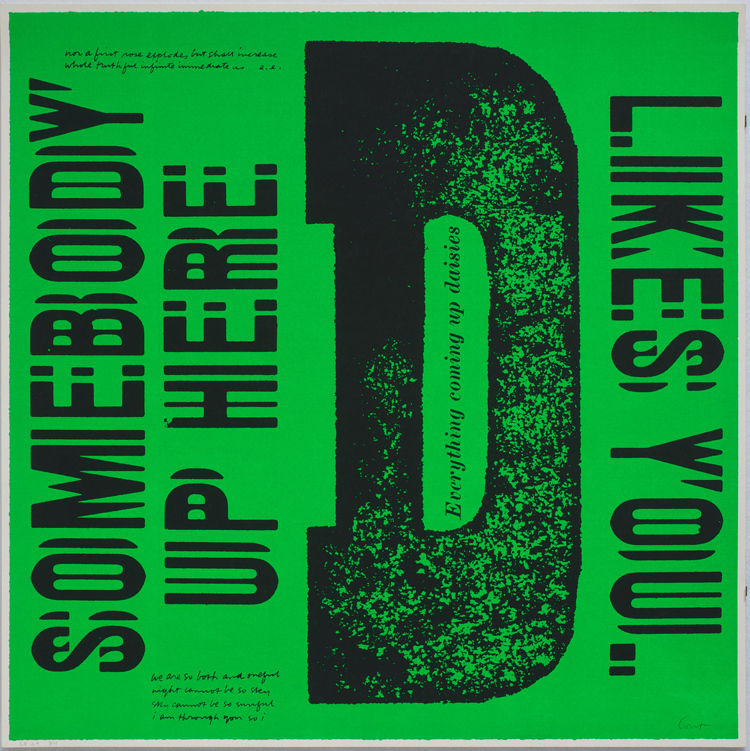 The exhibition spans 20 years of Kent’s work, from 1952-1972, and features 40 pieces, created using mediums like silk-screen printing, collage and cut-and-paste, and incorporating popular culture at the time, such as lines from beat poetry and advertising slogans. Curated by Steele and designed by exhibition designer Catherine Byrne, the work is ordered chronologically and spread across the walls of the museum’s main room, with its permanent collection placed in five glass cabinets at the centre of the space. At the start of the exhibition, Kent’s earliest and most religious work also sits opposite a display of the museum’s religious work, to demonstrate the links between the two collections and two Roman Catholic artist groups. 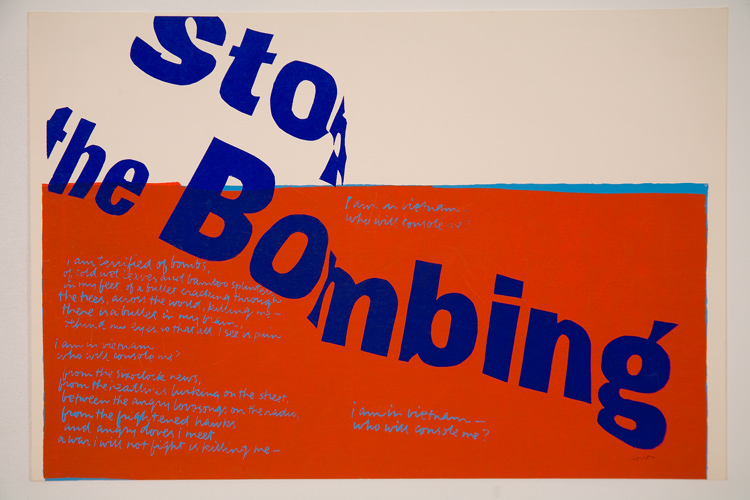 Text panels are “acid yellow”, adds Steele, which aims to stand out from the grey walls of the space and reference the bright pop art of the 1960s era. As you progress chronologically, Kent’s work becomes less religious, more political, and more literal and brash. 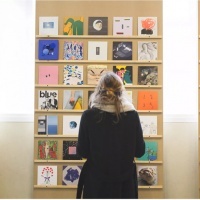 Related artworks are grouped together in sets. “Her work evolves from abstract, figurative, religious pieces to a point where it becomes entirely typographic text,” says Steele. “The word becomes the picture”. 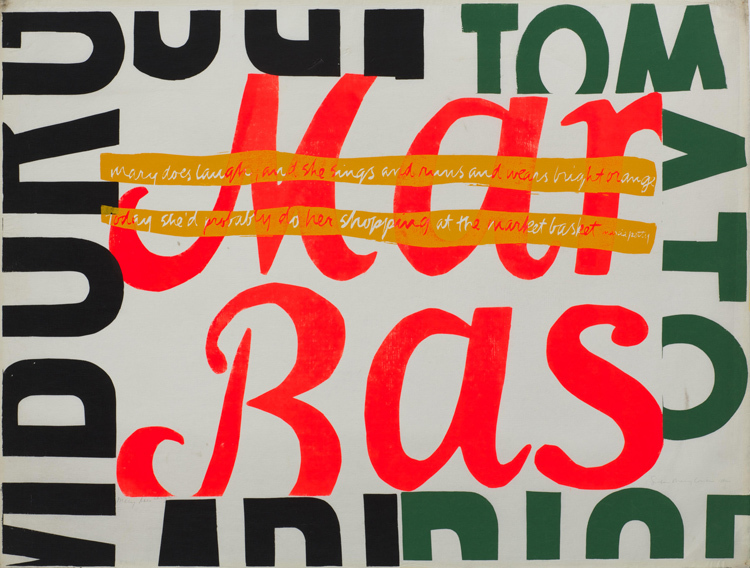 Kent’s change in style also mirrored a turning point in the artist’s life. Kent and her Catholic college were radical and forward-thinking within the Roman Catholic community, and pushed for a more modern type of Catholicism that was accessible and inviting to a wider range of people. As a result, many of her artworks were frowned upon by the conventional Catholic community; she depicted the Virgin Mary in tongue-in-cheek, humorous ways to bring her into contemporary settings, with pieces such as Mary Does Laugh (1964), showing her shopping at the local supermarket, and the Juiciest Tomato of All (1964), a text-based screen-print imagining Mary as a giant tomato. Her actions were attacked by the local archbishop and orthodox churches where she lived in Los Angeles, and the conflict she felt between her religion and a pursuit of social justice became apparent when she quit being a nun in 1968 at the age of 50 and moved to Boston. 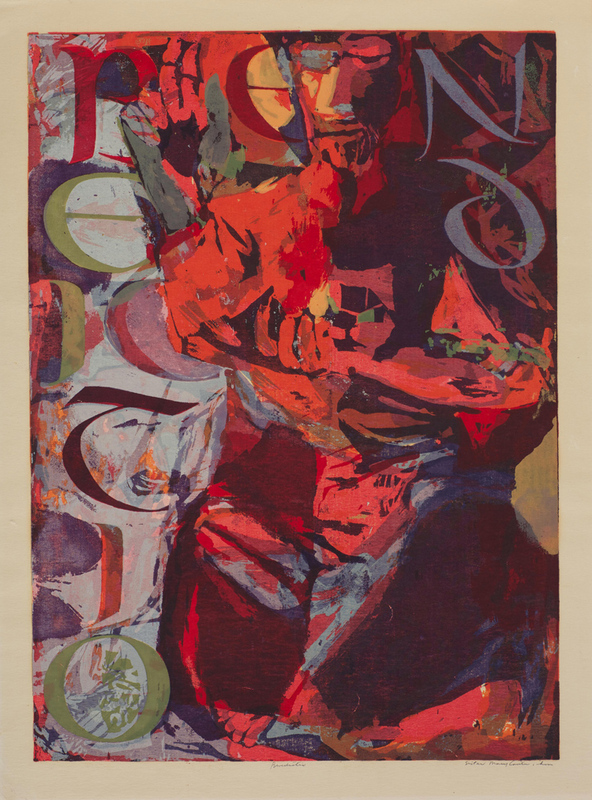 Politics then dominated her work – she created artworks commenting on race relations and the 1960s civil rights movement, the assassinations of black rights activist Martin Luther King Junior and former Democrat politician Robert Kennedy, and the Vietnam war. 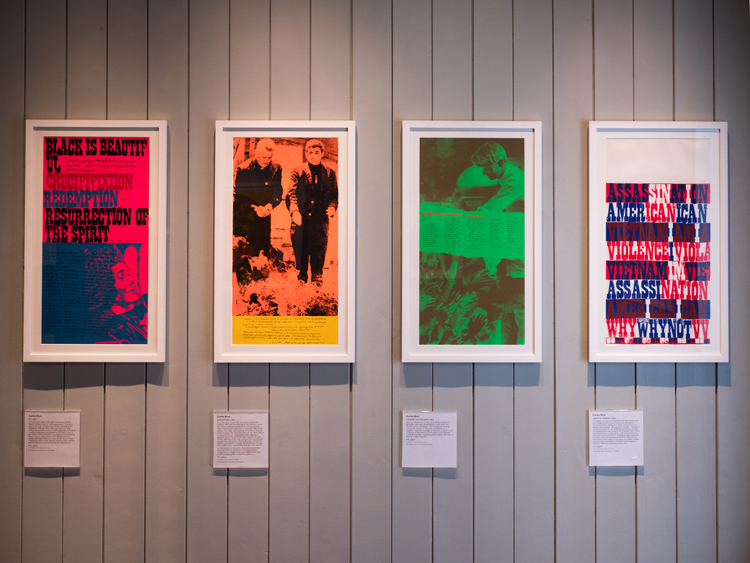 The exhibition fittingly ends on a 1972 piece scrutinising the political state of North America, called Come Home America – one that feels pertinent today, says Steele. The 1972 piece marks the demise of Kent’s radical period. In the 1970s, she swapped the bold colours for pastels and watercolours, and more serene messaging, as she is reported to have said “the time for physically tearing things down is over”. She was diagnosed with cancer in 1974, and died at the age of 67 in 1986. 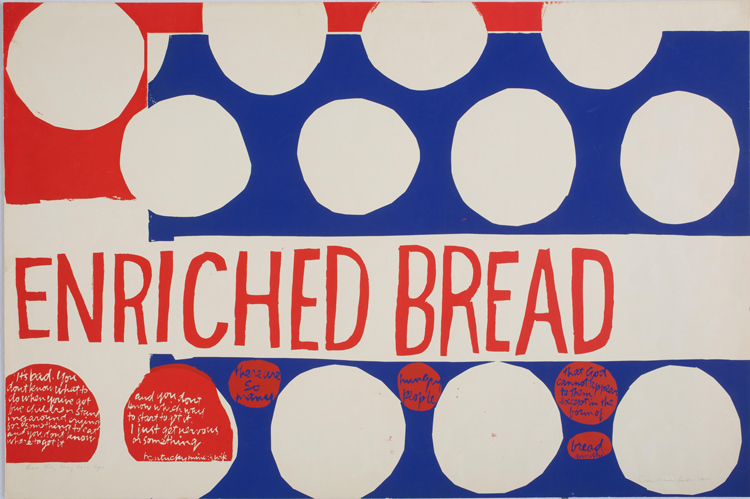 Despite Kent’s fight for democracy and equal rights, and her need to create what many deemed to be controversial artworks, some of her “acts of protest” pale in comparison to what we might consider a push for justice today. 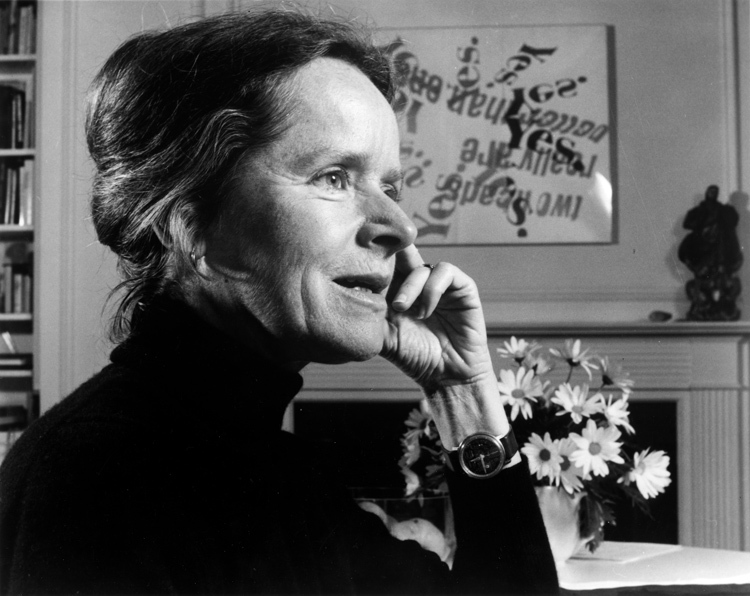 During her time as a tutor at her Catholic college, she set up a lecture programme that looked to celebrate artistic genius called the Great Men Series, which saw talks from the likes of film director Alfred Hitchcock, graphic designer Saul Bass and furniture designer Charles Eames. 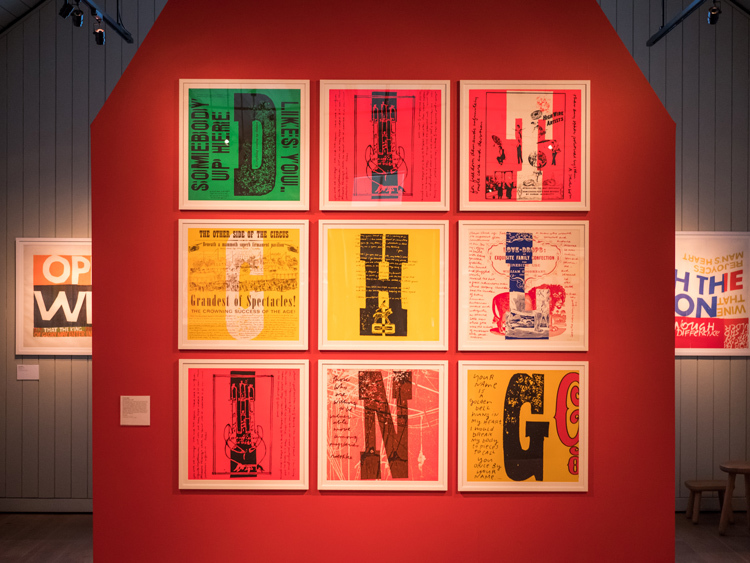 It is ironic that, while the exhibition celebrates Kent as a female designer who was a bastion of modern art and who did not receive the long-term acclaim of her male contemporaries, she perpetuated the male-dominated narrative of art and design in the 1950s and 1960s. Steele says that “[Kent] wondered about whether she should have made a Great Women Series too”, and perhaps if she was still alive today in the current political and social climate of 2018, this is something she might have strived to do. 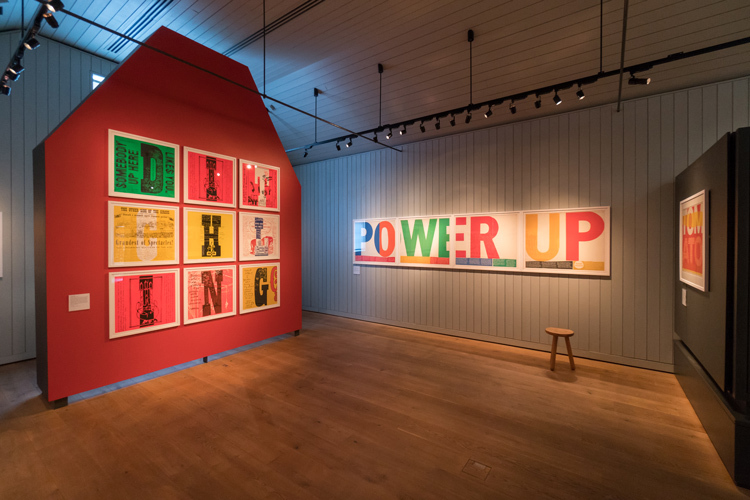 To signify the relevance of protest art today, a “surprise” installation by designer Morag Myerscough and artist Luke Morgan accompanies the exhibition, which looks to reflect Kent’s “approach” and “way of thinking”, says Myerscough. Alongside this, Myerscough has spent several years working with local communities in Sussex on her Belonging Bandstand project, asking people from different areas to create protest placards that represent “belonging”. These have been used to adorn a portable bandstand installation, which will now travel around Sussex as part of Brighton Festival, taking on different iterations and celebrating the nun-turned-designer’s ethos of community spirit through creativity. 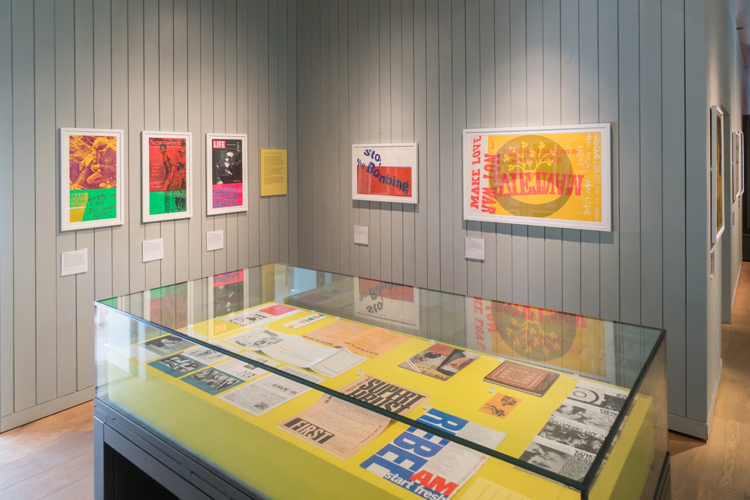 Whether her acts of protest are seen as radical or not today, the exhibition ultimately aims to bring Kent’s work into the spotlight and celebrate her for the revolutionary she was in her era. While she may not be as well-known internationally as some of her contemporaries, Kent was famous in America in the 20th century, featuring in “masses of articles in national magazines”, says Steele – yet her influence has faded off and not pervaded the British art and design scene. 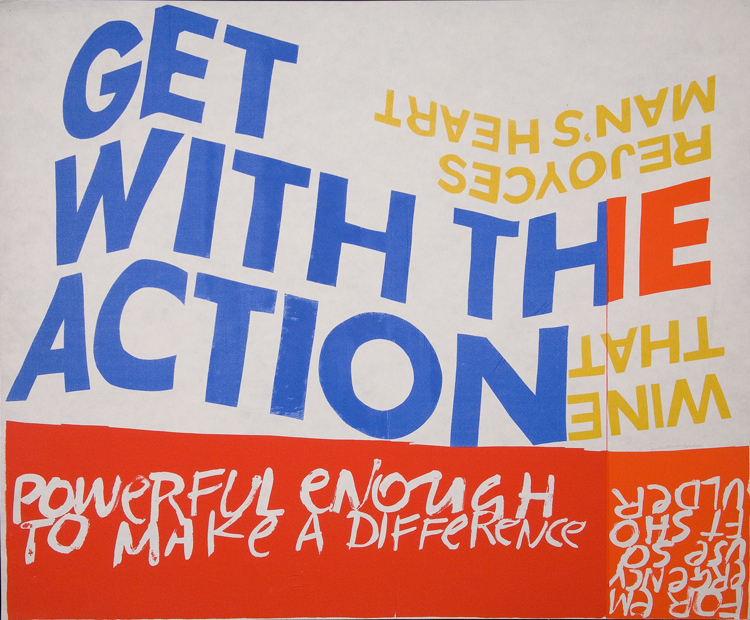 Corita Kent: Get With The Action runs until 14 October 2018 at the Ditchling Museum of Art and Craft, Lodge Hill Lane, Ditchling, Hassocks BN6 8SP. Entry is free. The exhibition is accompanied by Morag Myerscough’s travelling installation Belonging Bandstand, which will travel across Brighton and Sussex, and is part of Brighton Festival, a three-week long celebration of art, film, music, theatre and literature. For more information, head here. All exhibition photos © Sam Moore. I’ve always loved her and collected her stuff for years. So lovely to see someone writing about her. Just when I thought everyone forgot about her!! Thank you!